The length of this program will be in between two and twelve weeks, depending on the needs of every participant and it will be carried out in Valladolid. Students' transport from the airport to their selected accommodation. Practices in companies for each student according to the professional profile of every student. Complementary Spanish, linguistic and cultural immersion lessons. Monitoring and tutorial tasks on the period of practices, as well as a report on the final assesment..
Fundacion para la Difusión de la Lengua y Cultura Española Certificate. The Fundación para la Difusión de la Lengua y Cultura Española will be in charge of receiving the students in the established meeting point. Thus, the students will be in charge of providing all the information on arrival schedules, arrival point (airport, train station). 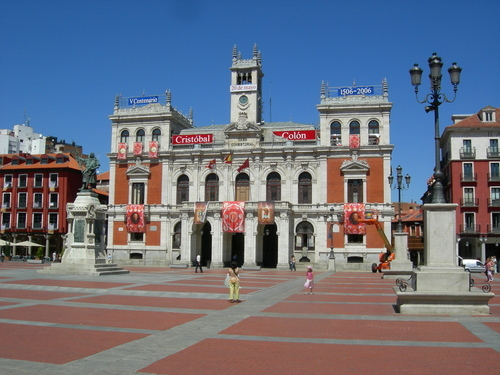 The easiest means to arrive Valladolid is by plane, straight to Villanubla's airport, or by train, at Campo Grande's Railway Station. 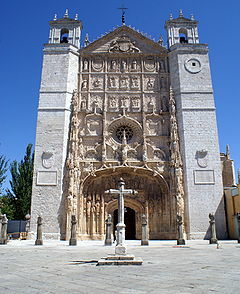 Valladolid is located in the Autonomous Community of Castile and León, 180 Km from Madrid. Besides, the city is provided with Villanubla's International airport, weekly connecting with capitals as Paris, Barcelona, London, Brussels and Milan. Lodge in university students residences: Preselected by the Fundación para la Difusión de la Lengua y Cultura Española and close to the classrooms and work place. Full board is offered if the student chooses this kind of accommodation. The student will have to bring bed clothes and bath clothes. Lodge in apartments: They are apartments close to the downtown, easily accessible by means of public transports and to working centers. The participant will have to share the accommodation with other participants from other countries (neither sheets nor towels are provided). Lodge in families: The participants who stay in families preselected by the Foundation will have the opportunity to enjoy a complete linguistic and cultural immersion and will enjoy full board. In these accommodations, not always the access to Internet will be guaranteed. The participant does not need to bring bed clothes not from bath. The program develops in different facilities, in parallel with the two main activities of the program: practices and Spanish lessons. The Technological Park of Valladolid located in the municipality of Boecillo 15 kilometers from the capital, communicated by a highway, located in the center of a 350 hectares of a dense completely environment friendly pine grove, thus obtaining a privileged surrounding. 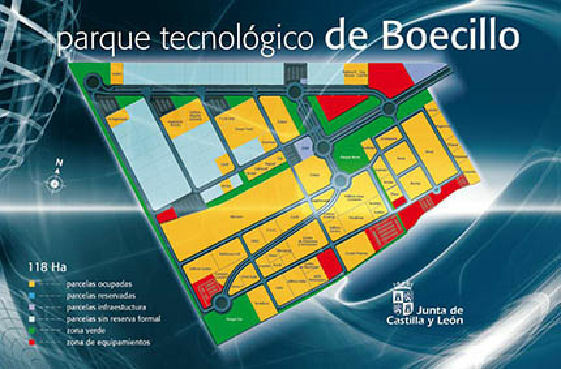 The Technological Park of Boecillo is a reference of last generation industrial soil in Castile and León. The Association of Scientific and Technological Parks of Spain (APTE) itself has recognized this Technological Park as one of the first technological enclosures of Spain, as well as one of the most specialized on information and communication technology. A preliminary exam to test the students' level will be set in order to assign them to one of three different levels. Optional lessons on technical language normally used in the development of their different professional activities will also be provided. At the end, a Language Level Diploma endorsed by the Universities of Castilla y León, along with the Foundation's diploma will be presented. The student will send a detailed filled dossier to the Foundation, specifying all the details related to their résumé, preferences on working practices details on possible diseases or allergies, etc. In addition, the student will also send an updated résumé along with a cover letter. All this information, gathered, the Foundation will carry out the selection of the best profiles required for every collaborating company. Before the beginning of the practices, the Foundation will have a personal interview with every participant, in order to introduce them to the job. The Fundación para la Difusión de la Lengua y Cultura Española relays on the collaboration of several associates in Castile and León who will provide to the participants with the possibility of achieving their professional practices in regional companies. As for this, cooperation agreements with different Company Organizations are provided among these, the Castile and León Businessmen's Confederacy, Family Busines of Castille and Leon, and the Regional Council of Chambers. The companies assigned to the above mentioned organizations offer posts in their working centers to students or European Union's fresh Graduates who want to learn about new forms of work, thus adapting themselves to the new reality of world economics. The company receiving students in its facilities, will get the student's Résumé and will decide if his profile adapts to its needs. When the student is accepted by the company, a tutor / coordinator who will be in charge of monitoring the practices of the student, offering them identical tasks to their professional profile will be asigned. At the end of the practice period, the tutor/coordinator of the company, in coopration with the Fundación para la Difusión de la Lengua y Cultura Española, will set a final assessment on the practice carried out by the trainee student. The Foundation of the Spanish language will offer a course on linguistic preparation to all the participants. The lessons will be distributed on groups of 8-12 persons, organized according to the level of every student. The courses will be organized according to the needs of the pupils and bearing in mind the sector on which the students will carry their practices out. The courses will have a lenght in between two and four weeks, depending on the needs of each group, and they will take place once the working hours in the company are fulfilled. The cooperatingthe Fundación para la Difusión de la Lengua y Cultura Española's teachers are specialized on Professional Spanish as a Foreign Language Teaching. At the beginning of the course, the studens will perform a level test which allows teachers to organize the lessons. Castile and León offers multiple touristic possibilities, both cultural and natural. Therefore, a series of trips and exits will be organized covering the region, being the participants able to enjoy our cultural and natural heritage. During the participant's permanence, the possibility of knowing different cities of the Community, such as Salamanca, Segovia or Avila.will be offered. All these three before mentioned cities belong to the World Heritage. Similarly, meetings among the participants will be organized in order to make gastronomic tours around the city. Castile and León is provided with a rich, important and varied traditional kitchen, as well as with a new kitchen of design, which nowadays rules in restaurants all over Europe. The Fundación para la Difusión de la Lengua y Cultura Española is in charge of making the monitoring of the participant's permanence in assigned company, as well as sorting out the possible problems solving or contingencies that could arise. To such an end, meetings with the participants will be organized, in order to confirm that practices are made with the required amount of quality and with any student setback. Along with the company's tutor the Fundación para la Difusión de la Lengua y Cultura Española will be able to make a final assessment on the participant's period of practices, as well as the final practices certificate in the company. Practices in the company certificate, where the acquired competentes and the functions carried out in the working center will be specified. Each participant will have an insurance covering the risk of accidents and illnesses. It will be necessary for European citizens, to travel with the European Health Insurance card of their country. For those participants who do not belong to the European Union, it will be necessary that they process a private Medical Insurance. Those companies interested in settling in the Technological Park of Boecillo, additionally must be considered to be technological based innovative companies, and not exerting contaminant activities companies. To invest at least 5 % of their annual total gross of selling to R&D activities: It can be an investigation or development; it can be in the product or in the process; and it can be made in the heart of the company or subcontracted. The 5 % of its personnel has to be a qualified technician. Not exerting any contaminant activities. To assure these requirements are fulfilled, the company must submit an Incorporation Request to the managing society, ADE Technological and Business Parks of Castile and León, INC. which will be assessed from the technical, technological, economic - financial and environmental points of view by the Technological Park of Boecillo by the Advisor Commission, determining if the activity of the company is adapted to the facilities in the requested Technological Park. This Advisor Commission, watches over the fulfillment of the town-planning regulation in the construction of new buildings, companies head offices and staff equipments. Low or medium electricity power provided by two independent distribution centers. Waste water sewage treatment plant. Inverse Osmosis Water treatment plant. Two gardened areas of 24.000 and 16.000 m2. Security - 24 hours security patrol, with intruder control Park's perimeter, and with the possibility of connecting each plot's security with the new centralized park services. Digital Integrated Services Net de Servicios Integrados y Telefonía móvil digital GSM. 24 hours Centralized Security Service, 365 days with CCTV. Dining room, snack bar, restaurant, self-service. Banks, 4B and Service cash points. The Technological Park of Boecillo in Numbers. The Technological Park of Boecillo presents in its enclosure 141 companies, 6.091 work places, an acumulatdd managerial investment which overcomes 440 million euros, and an invoicing of 506 million euros. Scarcely located 15 km from Valladolid, which is the capital of the region and the administrative head office of Castile and León. Driving down the N-601 (Valladolid - Madrid), take the 177B exit and get into the CL-600. Take the second exit in the roundabout. Driving Northwards from Madrid, through the N-601, take the 177 exit and follow the indications.